“Open” has become one of the biggest buzzwords in governance. But what does openness really mean? And does it mean the same thing to governments, civil society groups, the media, and the private sector? 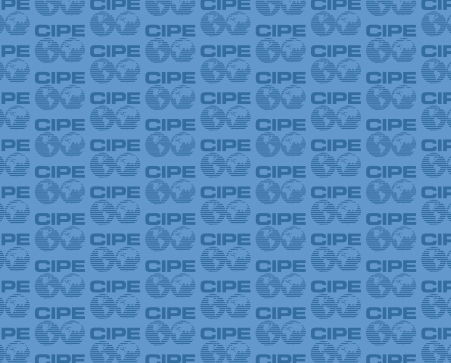 As part of the Open Government Partnership (OGP) — Deputy Director Andrew Wilson serves as co-chair of the Council for Engaging the Private Sector — CIPE is also interested in the answer to this question. OGP is a multinational partnership, currently made up of 63 countries and a number of civil society organizations, that aims to make government more transparent, more accountable, and more responsive to citizens. One way that governments have tried to become more open is through open data — making data about government operations such as budgets, spending, and voting freely available for anyone to use. But simply releasing some data does not necessarily make a government more transparent or accountable. “So if open data doesn’t produce benefits by itself, how does it work?” asked Emily Shaw in a recent post on the Sunlight Foundation’s blog. This is exactly what CIPE partner CIPPEC, an independent think tank, did in Argentina. To test the implementation of a government decree on access to information, they requested a variety of information from the country’s largest public enterprises and reported their results. Without this kind of active engagement from civil society, the private sector, and the media, “open” really is little more than a buzzword. The message here is that openness alone does not automatically lead to transparency or responsiveness. Achieving those goals requires trained and dedicated advocates who can use the information and access provided by more open governments to hold them accountable — including when they don’t live up to their own transparency promises.